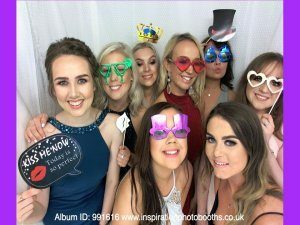 If you’ve ever been to a Wedding or Party with a Photo Booth you already know exactly why you need a Photo Booth at your next Event . . . . . . "Let the Fun Begin"
"Please have a look at our Reviews at the bottom of this page"
Make your event a truly unique and unforgettable experience with Inspiration Photo Booths. 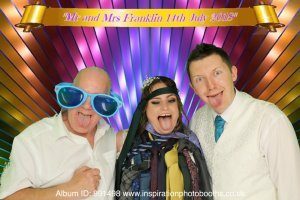 We are a professional Photo Booth hire company who take immense pride in what we offer. We Specialise in Weddings, Corporate Events, Birthdays (13th, 16th, 30th, 40th, 50th and beyond), Anniversaries, Engagements, Re-Unions, Christmas Parties, Prom & Graduation Nights, Bar & Bat Mitzvah, Ladies Sangeet. Capture those memorable moments with a fun and entertaining experience never to be forgotten and keep your guests talking about it long after the Event. You’ll want all your guests to have a great time, let them remember it by hiring from us today! 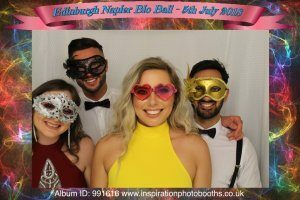 Contact Inspiration Photo Booths Edinburgh and book us for your next Event and make it a day that will stay long in the memory of you and your guests. 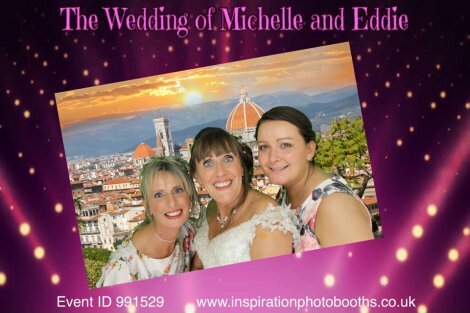 We are a very friendly Photo Booth Business who always put our customers first. There are 6 Fantastic Packages available so we are sure to have the Perfect Package for you. We can also tailor any Package to suit your exact needs. For instance if you have any special backgrounds you would like to use with our Green Screen just let us know and we will arrange it for you. Our aim is to make sure you and your guests have a fun-filled and entertaining night and will be smiling and laughing while indulging in Candid Camera moments in our Photo Booth. 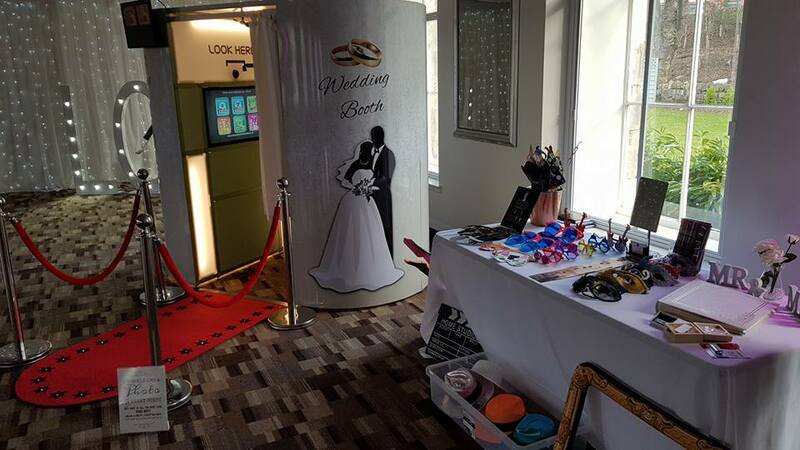 Our State of the Art, Top of the Range Photo Booth comes with all the latest technology including an Apple Mac Computer System, an easy to use 32" touch screen Monitor, an External Screen so queuing guests can see a selection of the photos that have already been taken. All Photos are captured with a High Definition Canon Camera that produces Top Quality Images. V.I.P Polished Steel Queue Barrier Poles with Red Ropes........... the list goes on and on. Prints are available instantly, you can also upload to your Email or Facebook (Depending on the wifi connection at the venue). Our Booths also have HD Video messaging capability where your guests can leave a message for you on your Special Occasion. 2 Friendly Attendants are present at all times to ensure you make the most of your experience. Make your Event stand out from the rest... Hire Inspiration Photo Booths. We Cover a 50 Mile Radius (Unless Stated). Hires outside this area are subject to an additional fee. Booking a photo booth for your event is quick and easy. Simply complete the booking form below and click the Submit button. If you need any help completing the form please do not hesitate to call one of our photo booth team. Please only Complete the Following Form if you wish to Book us for your Upcoming Event, Thank you. We highly recommend Inspiration Photo Booths. What a great time had by all and the photos and service from Colin and Veronica is second to none. The packages are great value and I look forward to an excuse to use you again. Colin and Veronica brought their photo booth to my nanas 100th party last night. They were a lovely couple and were very helpful all night. They had great props and made great backgrounds. Thank you again would recommend them for any party! Booked these guys for my friends joint 21st birthday party and I am so glad I did! Colin and Veronica were amazing from the beginning. 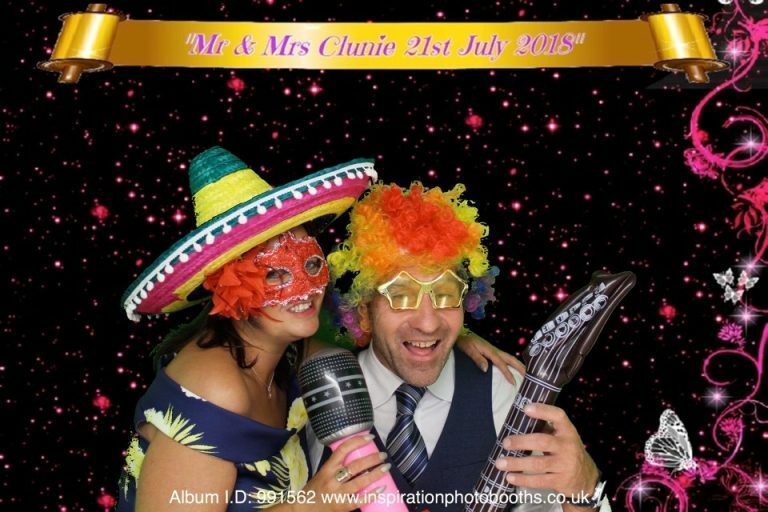 I had gotten in touch months before the party enquiring about the photo booth and then didn’t contact them again until around a month before the party and they were still more than happy to go ahead with the booking! Booking is very simple and they were more than happy to speak through the different packages available to us. We chose the package with the green screen and Colin went out of his way after calling me to ask for details of what we’d like on the green screen to ensure we had all of the images we would love in the photos! On the night Colin and Veronica were incredible, they ensured we had an amazing night and got hundreds of photos which will have great memories of the night! They really do make the party. Such a lovely couple with an amazing booth! I would 1000% recommend these guys to anyone for a party or wedding. It will definitely make the party! Thank you so much to you guys for making the night so special for the birthday girls and allowing us to create the best memories! The photos are all amazing and we had a brilliant time! Also want to say congrats on your engagement and I hope your wedding is as amazing as you made the party! 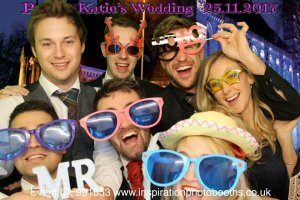 Inspiration photo booths, we will definitely use you guys again! THANK YOU! 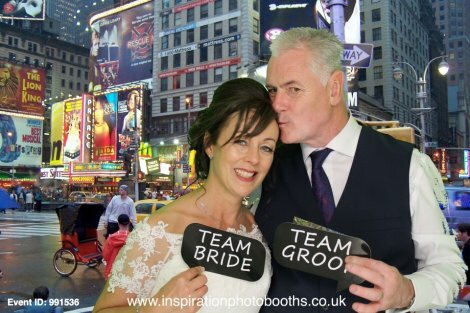 We met Colin and Veronica at the Edinburgh wedding fayre a few years ago when Inspiration Photo booths was not well known. We got on well with them from our initial chat with them and decided to use them for our wedding this July. They provided us with the green screen. Before the wedding they asked us for any personalised backgrounds we wanted for the green screen. On the day both Colin and Veronica were absolutely fantastic. 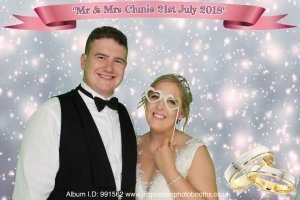 Everyone had a great laugh with the photobooth and they provided a lovely album/guest book which had a copy of all the photos and personalised guest messages, as well as a nicely presented box with a usb for a digital copy. The personal backgrounds they provided can out great. They took the options we looked at and did there work to make them look fantastic. They were also happy to take our request of downloading the images onto a usb and plugging it in the function suite for guests to see. The service they provide is great and a lot better value then most other companies around. 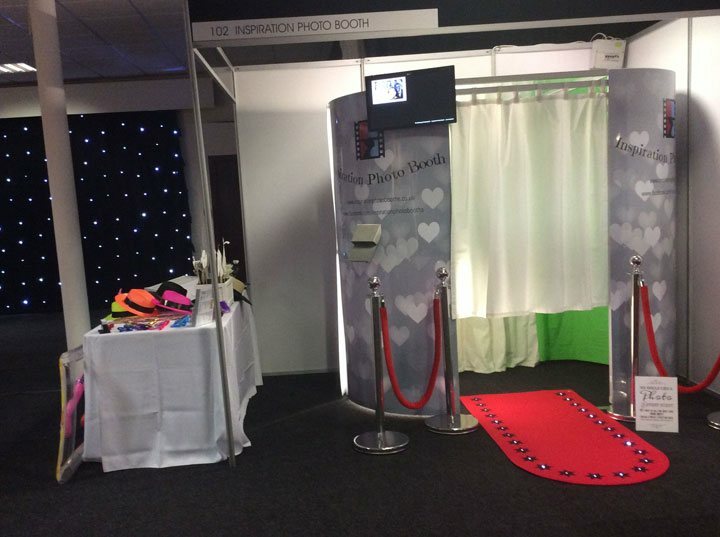 We would recommend them for anyone wanting a photobooth at a wedding or any function. Thanks very much to Colin and Veronica for attending our wedding with there photo both, very highly recommended. Veronica and Colin provided the Photo Booth for our wedding at Gosford House on the 5th of May 2018 and we can only say how professional everything was (great booth, great props, super attention to detail) and how special they made us feel. They even came to find us so that our album included the bride and groom. Highly recommend. Thank you so much both of you. Colin & Veronica stepped in late on when our original supplier let us down and we are so glad they did. They were fantastic on the day and all our guests commented on how helpful they were and how much fun the booth was. The booth itself was great with a huge selection of accessories and it looked amazing. I really can't speak highly enough of Colin and Veronica and can only say don't hesitate book them today you won't regret it. 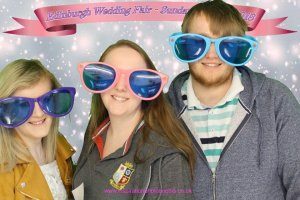 I found Colin and Veronica at the Corn Exchange wedding fair in Edinburgh and from the moment I met them I could see they were both so wonderfully enthusiastic about the photo booth. We booked them for our wedding 30/12/17 at Orrocopier, they set the booth up quickly with no disruptions and it looked amazing. They catered to all our requirements and even had the photo booth dressed like Santa’s grotto which fitted perfectly with our Christmassy wedding. 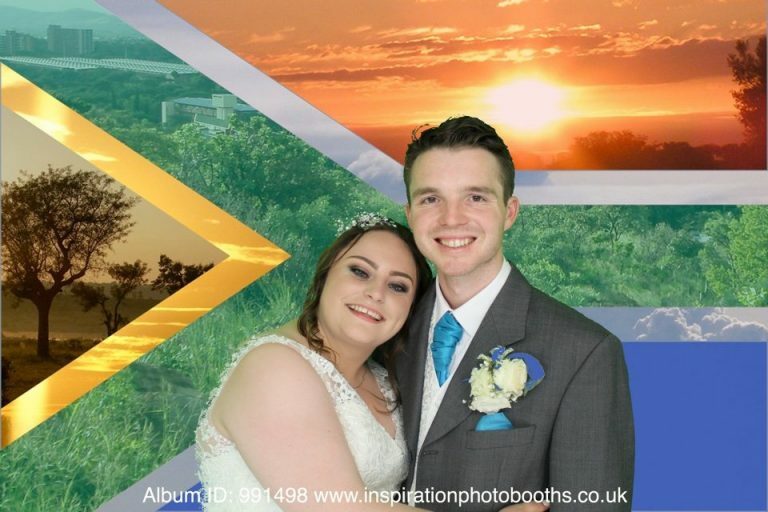 Colin and Veronica are such a lovely, kind and bubbly couple, they encouraged everyone to have a good time and to come have a shot in the photo booth. We were provided with a lovely quality book with everyone’s pictures and our guests were able to leave a message, so the book also doubled up as our guest book as well as a keepsake. Our day was perfect and I know the service we were given by Colin and Veronica added to the day making it that bit more special. 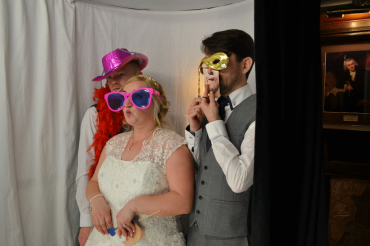 Our guests all loved the photo booth and we would highly recommend to anyone. Many thanks again. The enthusiasm that Colin and Veronica showed us on our initial meeting about their product was more than justified. After demonstrating all the cool features of their photobooth, we signed up immediately for our wedding at Melville Castle and were not dissappointed. Our wedding guests absolutely loved it which was shown by the memory book of high quality pictures that Colin and Veronica provided. Will keep this forever and cannot thank Colin and Veronica enough for their hard work on the day, would highly recommend them to anyone looking for a company who cares about their clients and ensures a high quality, non invasive and fun day. 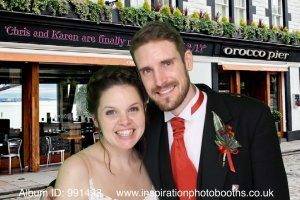 we used inspiration photo booths for our wedding at the G&V hotel in edinburgh on 29.9.17. Personally we could not recommend them more. Veronica and Colin were fantastic, friendly, professional and couldnt have done anymore to make our day any more special . The booth was great easy to use and lots of props. Thank you from the bottom of our hearts for adding this magic to our day! Organised, helpful,welcoming and wonderful people! Photo booth is bright, props are brilliant over all 10/10! Would highly recommend using this company. We booked this for my daughter's 21st and we are so glad we did. There were lots of props and everyone had an amazing time in there. Lots of amazing photos and fantastic memories. A huge thank you to inspiration for their professional and helpful service. We would 100% recommend to everyone. Absoloutely amazing!! Went down so well with all the guests.would highly recommend them for any funtion,there was a que the whole time. Cannot recommend these guys highly enough!! It was hugely popular and we got some awesome photos, made all the better by the enthusiasm, friendliness and professionalism of Colin and his wife. Totally surpassed all expectations, fantastic. Absolutely amazing, defo worth the money. Nice people aswell. Thanks again. These guys done my 21st party. Thank you very much for my birthday card. Very kind. Very genuine, helpful and down to earth people. Lots of props. Fantastic! Very friendly, excellent service. Top of the range booth!! Highly recommend!! We got this as a surprise wedding present. Absolutely amazing!! The guests loved it. Fantastic hosts and really made the evening. Absolutely fantastic evening, booth was great with props and back drops supplied, would recommend it to anyone having a wedding/party. Great fun and happy times. So impressed with the quality of the photo booth....far superior to others I have seen & sure to impress your guests! Their customer service & attention to detail is superb. I would certainly recommend Inspirational Photo Booths.